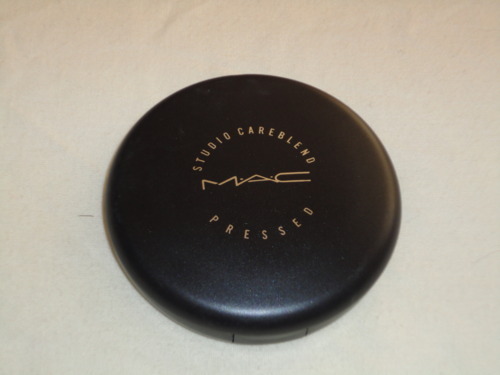 I discovered this pressed powder from MAC around May or June 2011 , I don’t exactly remember the month I first bought this. Before I had a special love with MAC MINERALIZE SKINFINISH NATURAL i’m in shade Medium Dark but then… when I saw this at MAC counter I fell in love with it, instantly. 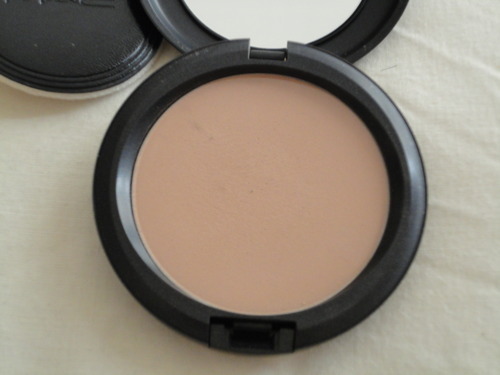 First because of it’s creamy velvety like texture and a matte finish. I love matte finishes. 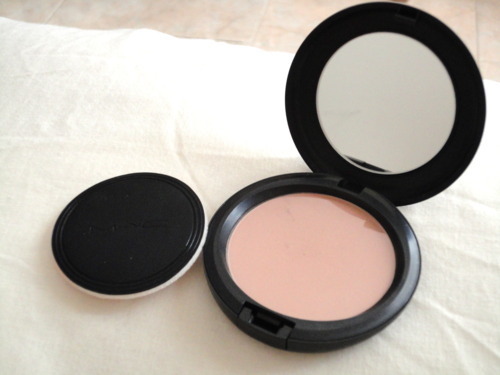 As MAC describes it: Formulated to provide a smooth, virtually invisible, fresh-looking finish, this soft, cream-like powder is carefully blended to provide the skin with extra care, nourishment and comfort. It does! It is so soft on your skin. Now I can’t live without it. I always have it on my purse where ever I go. Sometimes on a Lazy day, when I don’t feel like wearing foundation and make up I just put my Garnier Anti Dark circles to brighten up my eye a bit and top it of with MAC CAREBLEND, i wore Medium Dark as well and coat of mascara and gloss and it will last for about 6hrs! seriously!! I have a combination skin and I easily get oily on my t zone so from time to time I make sure to powder up. With CAREBLEND it stays for 6hrs..amazing! That’s how AMAZING it is! For AED 125, you’ll get 10 g / .35 oz.I use it with a powder brush from SIGMA F30 or if I want more coverage I will use sponge. I’d been using it for a long time and just now I hit the pan. It is the first one I bought last year :) not bad for AED 125 if you can use it for a year.